Wild Alaskan salmon is so tasty, that it is required almost no extra flavouring, spices or cooking process to make perfect dish. 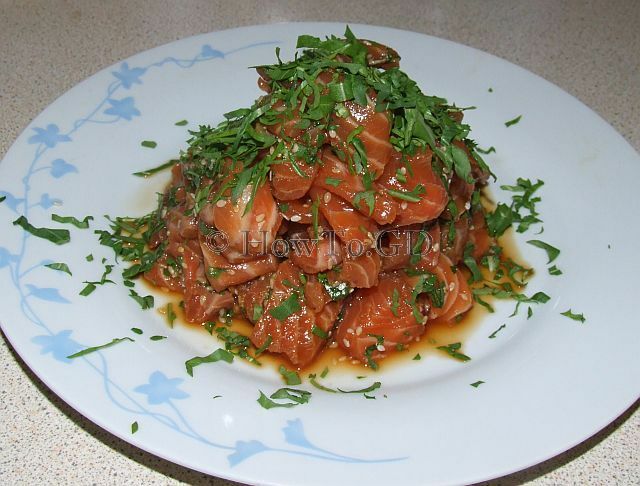 In this article I'll show, how to make wild Alaskan salmon sashimi, in its simplified version. 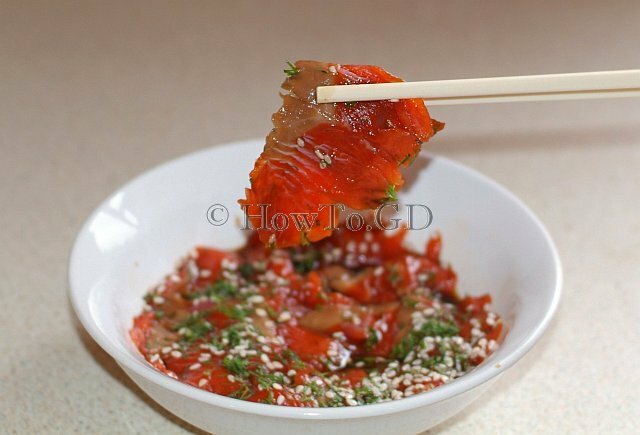 The proper sashimi cooked with garlic and plenty of different sauces, which can be perfectly suitable for more simple fish, like traditional salmon, but with Arctic salmon, all extra ingredients will hide the taste of a fish. Ingredients are very simple. 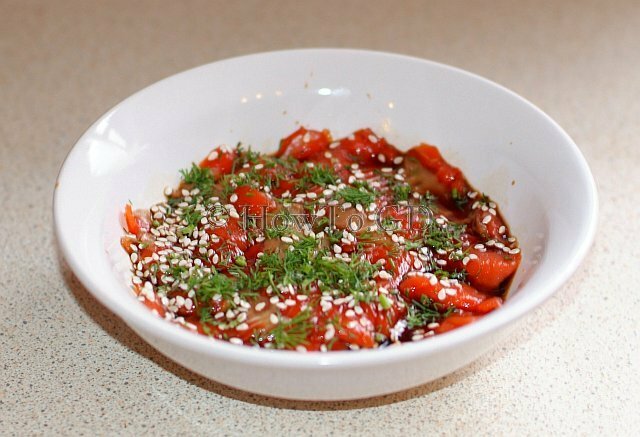 Wild Alaskan salmon, 150 gm; 1½ tbsp soy sauce; ½ tsp sesame seeds; pinch of chopped dill. Slice fish fillet across the grains into a thin slices, suitable for one bite each. 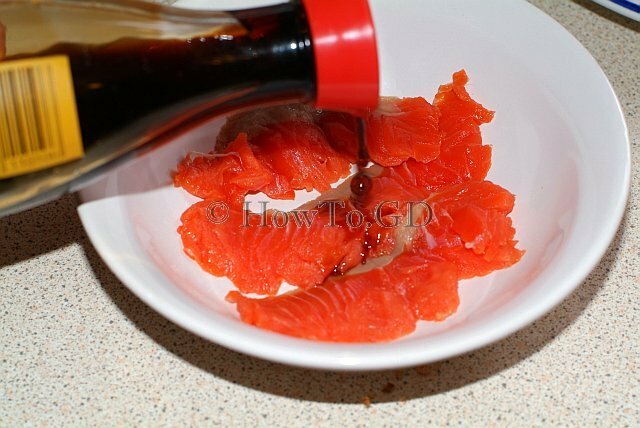 In a bowl, mix the wild Alaskan salmon slices with soy sauce. Add sesame seeds and chopped dill. Marinate for 5 minutes and serve. 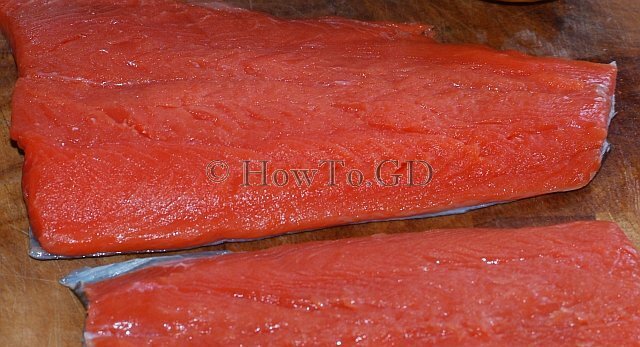 This recipe will be perfectly suitable for wild Alaskan salmon, for Sockeye salmon, and for Coho salmon. 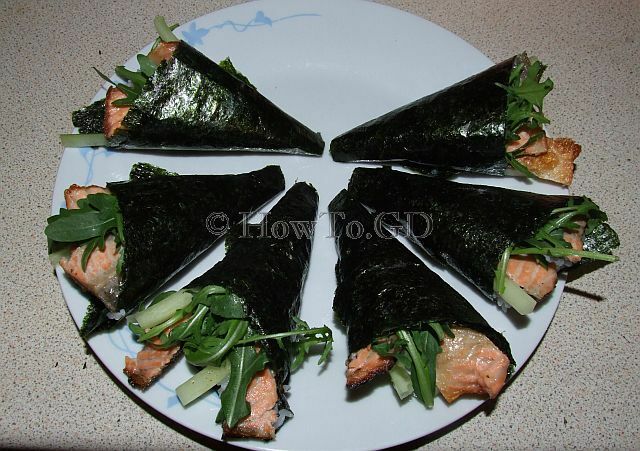 Skin can be used for preparing temaki-sushi. 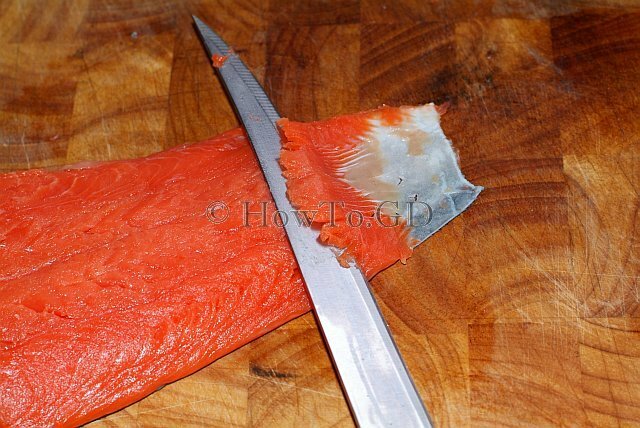 Wild Alaskan salmon sashimi cannot be stored for more than few hours.